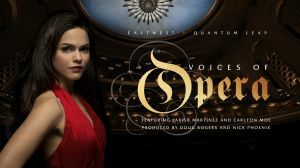 EastWest's Voices Of Opera, a brand-new virtual instrument featuring the vocals of soprano Larisa Martinez (Andrea Bocelli) and tenor Carlton Moe (Phantom of the Opera) is now available for purchase for $199 (50% off MSRP) or as a free addition for subscribers of EastWest's ComposerCloud ($19.99/month for new subscribers). 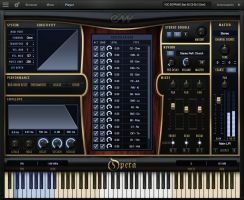 Voices Of Opera is perfect for any composer looking to add a pristine operatic sound, and fits in perfectly with EastWest's recent slate of vocal products Hollywood Choirs, Voices Of The Empire, and Voices Of Soul. 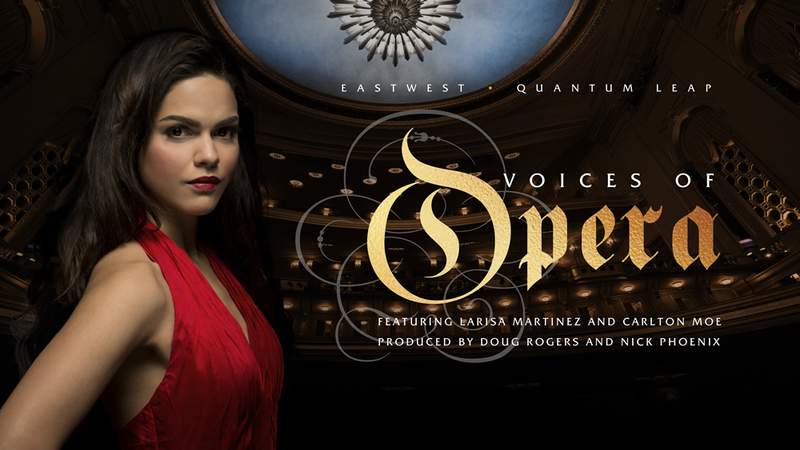 Larisa Martinez has established a strong and unique presence in the classical performance world. 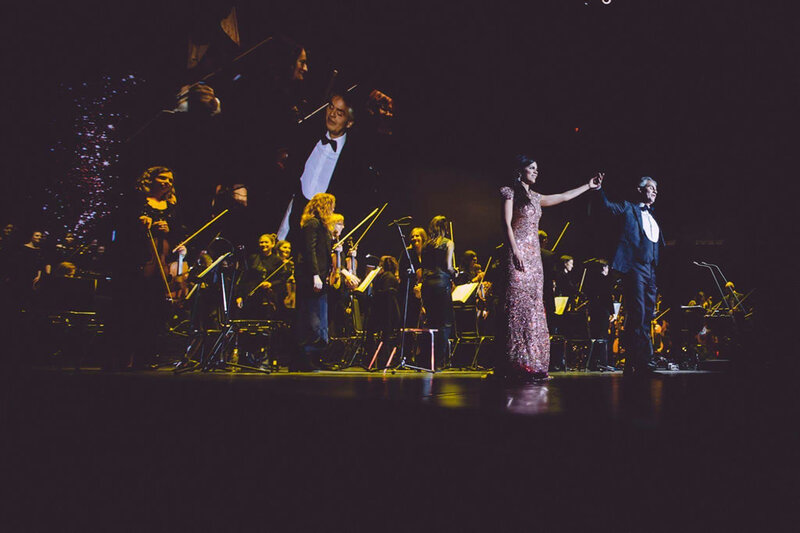 She's currently performing with opera titan Andrea Bocelli as his principal soprano on his world tour. 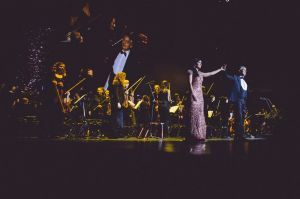 She is a winner of the Metropolitan Opera National Council Audition PR district 2016, where she also received the Angel Ramos Foundation Award and Audience Prize. She earned raved reviews as Musetta in Loft Opera's critically acclaimed production of La Bohéme and for her other leading roles in Verdi's Rigoletto, Gounod's Roméo et Juliette, Rossini's Adina, Floyd's Susannah, and Donizetti's Don Pasquale and Lucia di Lammermoor. 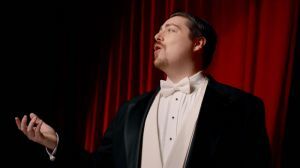 Heralded by the New York Times as an "ardent tenor," Carlton Moe is currently performing as Ubaldo Piangi in Andrew Lloyd Webber's Phantom of the Opera, the longest running show on Broadway. 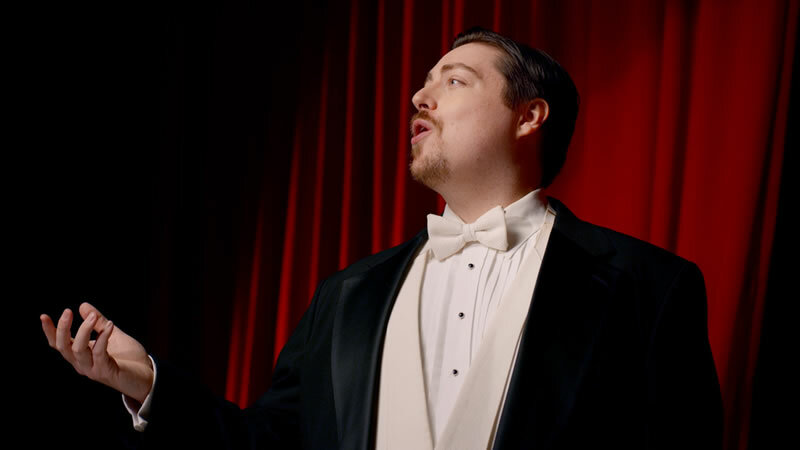 His opera credits include Lakmé (Gerald), I Capuletti e I Montecchi (Tebaldo), The Mother of Us All (John Adams), Ernest Bloch's Macbeth (Malcolm), and Roméo et Juliette (Tybalt). He has also performed as a soloist in major works such as Verdi's Requiem, Beethoven's 9th Symphony, Mozart's Requiem, and Handel's Messiah. 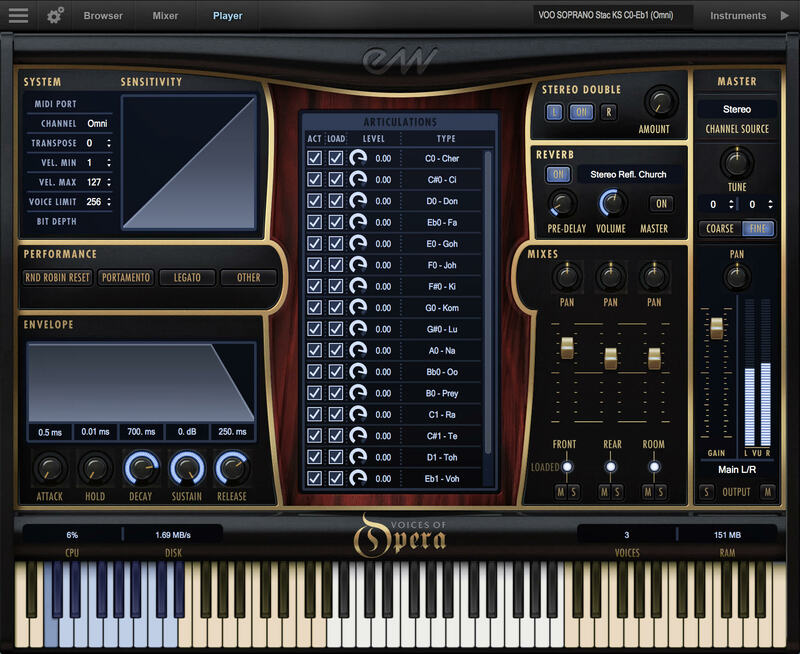 The same pristine recording techniques that make all EastWest products sound so rich and detailed went into the recording of Voices Of Opera. 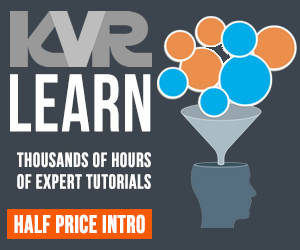 Choose between multiple mic positions including Close, Rear, and Room. The close mic is a Telefunken 251 that gives you intense attention to detail. For the duet phrases, an additional Neuman U67 was used to fully capture the sound of both singers. The Rear includes a pair of vintage Coles 4038s that give off more warmth and space of the room. The Room mix includes a Decca tree made up of M50s and outriggers with a pair of AKG C12s, replicating the mic set-up of a classical stage. These are all vintage tube microphones that you cannot get your hands on anymore. All recordings were made at EastWest Studios, the world famous recording studios known for producing more Grammy nominations than any other studio in the world.